Robert Vaughan Howland of San Antonio, Texas died on Monday, February 5th, 2018 after a short illness. Robert (Bob) was born on April 15, 1943 in Norwood, MA, the youngest son of Herbert Vaughan Howland and Miriam (Sinclaire) Howland. A 1961 graduate of Rhode Island's East Providence High School, Robert earned his Bachelor's of Arts degree from Brown University in 1965. He served in the U.S. Air Force from 1965 to 1972 including service in the Rhode Island and New York Air National Guard's. His career started in banking and hospital administration and then higher education administration from 1968 to 1990. From 1990 to 2006, he practiced tax preparation and was an enrolled agent with the IRS. A devoted baseball fan, he loved the Boston Red Sox and studied baseball statistics and could quote records from the 1940's forward. He attended baseball games around the country, including minor league games, spring training games in Florida and Arizona, played softball and watched as much baseball on TV as he could. 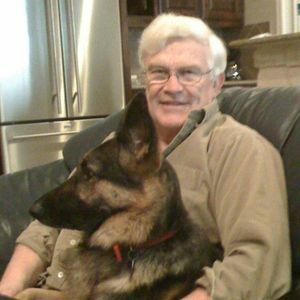 Bob was active in professional associations, served in leadership and volunteer roles with animal shelters, and loved being by the shore in New England and Texas. He had a quick wit and wonderful sense of humor that served his desire to make people laugh, which he did often. Robert is survived by his wife of 40 years Kristine Nelson Howland; two children by a prior marriage, Mark Vaughan Howland (Jennifer Smith) of Peabody, MA; Eric Robert Howland of Peabody, MA; mother-in-law, Harriet Nelson; sister-in-law Ann Richardson Howland of Danville, NH; brother-in-law Walter Nelson (Mimi); two grandchildren John Robert Howland and Keira Leigh Howland; and eight nieces and nephews; several great nieces and nephews; and several cousins and friends. A memorial service will be held at the convenience of the family. In lieu of flowers, please make donations to your favorite animal protection agency, shelter, service or other charity of your choice.